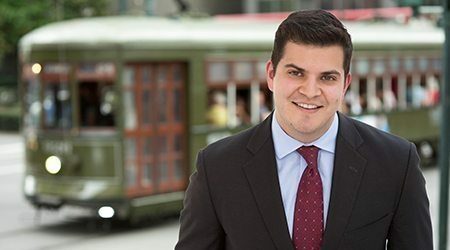 Ryan D. O’Connor is an Associate in the New Orleans office of Galloway. His practice focuses primarily on insurance coverage, transportation and trucking, and premises liability. Ryan is admitted to practice in all Louisiana state courts, all Maryland state courts, all of the United States District Courts in Louisiana, and the United States Court of Appeals for the Fifth Circuit. After earning a Bachelor of Arts in Public Policy from Duke University, Ryan went on to receive his J.D. from Tulane University Law School. During law school, Ryan was a Managing Editor of the Tulane Journal of International and Comparative Law and Secretary of the Real Estate Law Society. Prior to joining the firm, Ryan served as a judicial law clerk to Judge Regina Bartholomew Woods at Orleans Parish Civil District Court in New Orleans, Louisiana.